Please support this effort for Kulani Pu’uhonua. Mahalo. Please send in your comments on the Draft Environmental Assessment on Kulani by February 7, 2013 to Mr. Chester Koga, AICP, R.M. Towill Corporation, 2024 North King Street, Suite 200, Honolulu, HI 96819. You can write anything. However, we ask you to support the position of Ohana Ho`opakele in asking that Kulani become, not a prison, but a Hawaiians Only Pu`uhonua! Enclosed is our 8-page statement submitted at the hearing on January 22, 2012 at 4 pm in the Aupuni Conference Room in Hilo. We want to see if they will change the Draft Environmental Assessment by the next hearing on January 31, 2013 at 5 pm at the Keaau Community Center. If they make no changes, there is no good faith on the part of the Department of Public Safety. If they make no changes as requested to the Final Environmental Assessment, Ohana Ho`opakele will request an EIS (Environmental Impact Statement), a stricter study be done. If they refuse, or do not include the changes into the EIS, Ohana Ho`opakele will ask for a “Contested Case Hearing” to he held. For all of this to happen, we need your support! “Most Americans seem in a state of denial or so into mindless distraction they are incapable and/or choose to remain in the dark of what America has become. (There appears a) callous indifference by those who should know better seemingly insulated from the horror of the government’s policies… abroad and increasingly domestically. “The occupy movement momentarily flushed out from the shadows the greed and most egregious workings of the corporatist oligarchy that has created the plutocracy that underwrites the national security state. Legal dissent and whistle blowing leaks are attacked with vigor as the government resorts to lock-down secrecy and all justified and legalized by Justice Department memos kept secret for reasons of national security. A MEETING TO UPDATE THE PUBLIC about Kawa and how the county is planning to move forward is scheduled for Wednesday, Jan. 30 from 5 p.m. to 7 p.m. at Na`alehu Community Center. Mayor Billy Kenoi’s executive assistant Karen Tashima, who is currently heading the Kawa project, said that the main goal is to have the community say they want to work together with the county to manage the property. Tashima said that concerned individuals have called to ask about the direction of the project. “There is a story going around that the county is making Kawa into a park, but that’s not what we are going to do,” Tashima said. She added that various kupuna expressed that they don’t want Kawa to become another beach park. In an effort to support the community’s desires and address concerns raised by members of the public, the talk-story meeting is open to all. The individuals who expressed concerns directly to the county about Kawa were contacted and encouraged to attend, said Tashima. Currently, the public is allowed to access the beach at Kawa on foot from Hwy 11 between the hours of 6 a.m. and 6 p.m., seven days a week. However, as visitors are guests on county property, they are asked to follow a few basic rules: no camping, no alcohol and no littering or polluting. In the interest of sanitation, the county is providing the use of two portable lua at the main entrance. Tashima said, “There is a 24-hour police patrol,” to ensure that all visitors comply. Regarding handmade signs posted outside the main entrance to Kawa along Hwy 11, Tashima said that police had called the county to notify them about the signs, and when police returned after 6 p.m. to check on the situation, the signs had already been removed. Please support the KAHEA below and help pass the word. Mahalo. We are putting a kahea out to all to join together in a Rally to stand up and be idle no more for the protection of our Mauna a Wakea (Mauna Kea). Our ohana is one of six petitioners (Flores-Case Ohana, Kealoha Pisciotta of Mauna Kea Anaina Hou, Clarence Kuauakahi Ching, Paul Neves, Deborah Ward, & KAHEA) engaged in the contested case hearing to protect Mauna a Wakea from further desecration and destruction. After the rally at 11:00, petitioners will present oral arguments to the Board of Land and Natural Resources requesting that they revoke the permit for the proposed Thirty Meter Telescope that would be over 18 stories high and the TALLEST building on the island and excavating over 8 acres of the sacred landscape on the mountain. It will take more than six petitioners to stand up for the Mauna at this time. 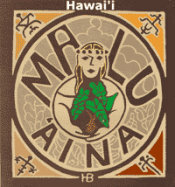 It will take all of us in the love and light of Aloha to send the message that our connection to the aina is still strong and that we stand steadfast in the truth that our Mauna is still sacred! Described below is cultural insight shared by the ancestral kupuna, kupua, and guardians that still dwell on the top of the Mauna. This mountain was called Mauna a W?kea (Mountain of W?kea) because unlike any other in the Pacific, it pierces above the clouds into the atmosphere and heavenly realm of W?kea that envelops Papahanaumoku. height, are a piko (portal) that allows for the transference of energy from one source to another. This understanding is reflected in the traditional Hawaiian concept of the triple piko of a person. In essence, the piko on the summit of the mountain is comparable to the piko located on the tops of one’s head at the fontanel. When the piko of the summit is obstructed with the physical excavation of the landscape, asphalt and cement pavement, metal posts implanted in ground, buildings, and construction, it curtails or prevents this flow of energy. Thus, the development on the summit is causing adverse impacts and significant obstructions to the life forces that flow into these islands through this piko. Due to the immense size of the proposed TMT project, it will cause substantial, significant, and cumulative adverse impacts upon Mauna a W?kea. ancestors of Kanaka Maoli and numerous ali‘i (chiefly) dynasties that lived in these islands, they never built any heiau (temples) or large structures on the summit in this realm that is considered kapu. In the times of our ancestors, prior to structures being constructed, one would consult with individuals such as kahuna kuhikuhi pu‘uone who specialized in protocols associated with the selection of such sites so as not to create a physical and/or spiritual disturbance, disconnection, or imbalance between man and his akua, and between man and his environment. We charge that this process of consultation with those recognized as the ancestral akua and kupua of Mauna a W?kea was not done by the Applicant and was also never done by any previous projects. The greatest obstacle in the protection of sacred places is a lack of understanding of why these places are significant and so special. It has been forgotten when humans interacted with the natural forces and energies of this Earth. Those who have forgotten are products of their social, educational, and/or religious systems. From the modern mindset, most people can recognize the significance of a church building, appreciate the majestic and sacred architecture of a cathedral or synagogue, or be in awe of ancient pyramid and temple structures. However, it seems more difficult for modern minds to recognize that places in nature which bears no special markings or buildings are also considered sacred. There are countless mountains around the world considered sacred by cultures past and present. These holy mountains are also keystones to indigenous religions that regarded these areas as the abodes of certain gods, goddesses, deities, divine beings, natural forces, and spirits. In addition, pilgrimages to sacred mountains have been taking place for thousands of years. The ancestral akua, kupua, and kupuna who are connected to Mauna a W?kea as well as the sacred and cultural landscape will be directly and immediately affected by the proposed TMT project. Since 1975, nearly three times as many Vietnam veterans have committed suicide than were killed in the war. Fifty-eight-thousand-plus Americans died in the Vietnam War. Over 150,000 have committed suicide since the war ended. Today, more U.S. troops are dying from suicide than dying in combat. What will be the number of veteran suicides 30 years from now for the current wars of empire? 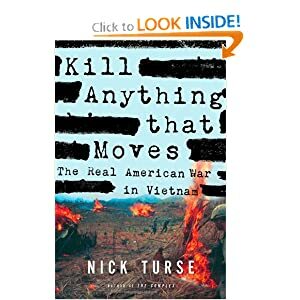 Thousands of Vietnam books later, Kill Anything That Moves, devastating and definitive, finally brings us face to face with the truth of a war that haunts Americans to this day. anything changed since Vietnam ?